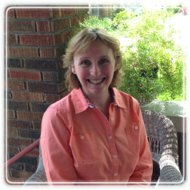 Waterloo Therapist: Laurie Blaikie - Therapist N2M 1P3. Send A Message To Laurie. While psychotherapy is not easily described in general statements, choosing to take part in therapy is the beginning of an adventure. You are showing great courage! Sometimes the trip is pleasant and enlightening; at other times it is challenging, emotional and lonely. It is never boring! While therapy is not often straight-forward (two steps forward, one step back), psychotherapy has been shown to have benefits for individuals and couples. Therapy often leads to better relationships, solutions to specific problems, and significant reductions in feelings of distress. At that first session, we will talk more about what is bringing you to see a therapist. Throughout this process, we are starting to build a therapeutic relationship--one that involves safety, non-judgment and trust. After a career in administration, I returned to school and graduated with an MA in Spiritual Care and Psychotherapy in 2012 from Wilfrid Laurier University. I am a member of the College of Registered Psychotherapists of Ontario (#002501). I have experience working with individuals, couples and families cope with grief, chronic or terminal illness, anxiety, depression, life transitions and stress. My area of research has been working with individuals who are undergoing palliative care or have been diagnosed with a life-threatening illness, along with their partners and families. I continue to help in this area by volunteering at HopeSpring Cancer Support Centre in Waterloo, Ontario. I believe that there is "more going right with a person than wrong". We work together finding and exploring the strengths and supports that you already have as you work on the issues that brought you to therapy. I may ask you to consult with your doctor regarding treatments that could help with your challenges. You have the right to refuse anything that I suggest. I believe that mental health is important. One way that I strive to encourage wellness is by writing a weekly blog, containing tips, helpful information, links, and stories. My blog can be found at www.laurieblaikie.com. Please share it with anyone you think may benefit from its content. If you would like more information, or to book an initial telephone consultation; please contact me. Studies have shown that the most important element leading to a successful counseling experience is the relationship between client and therapist. Therefore, it's vital that you find a therapist you feel comfortable and safe with; that you feel will listen to your concerns and travel with you on your healing journey.